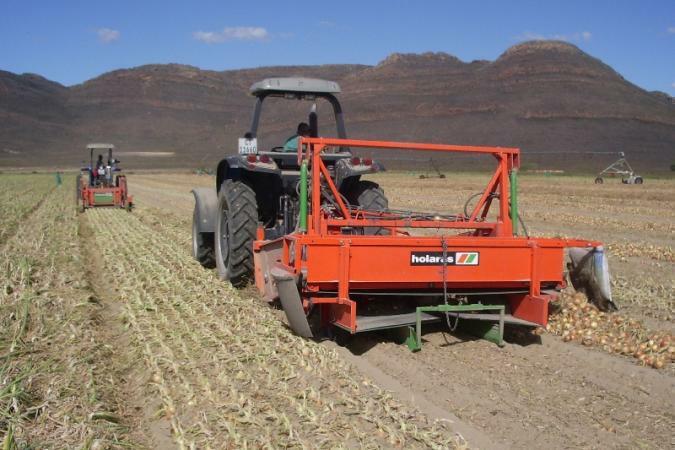 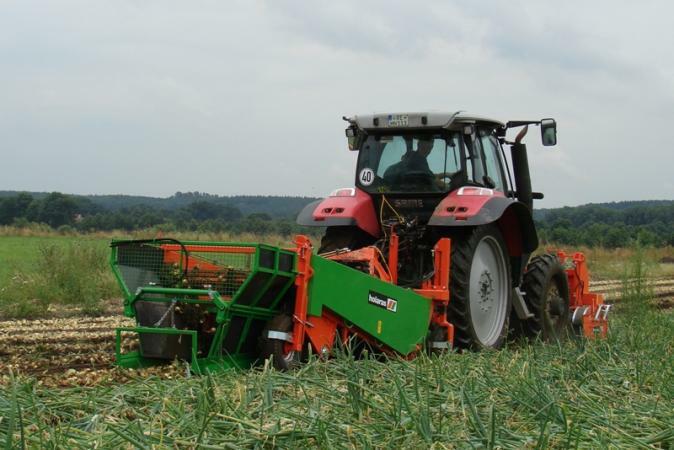 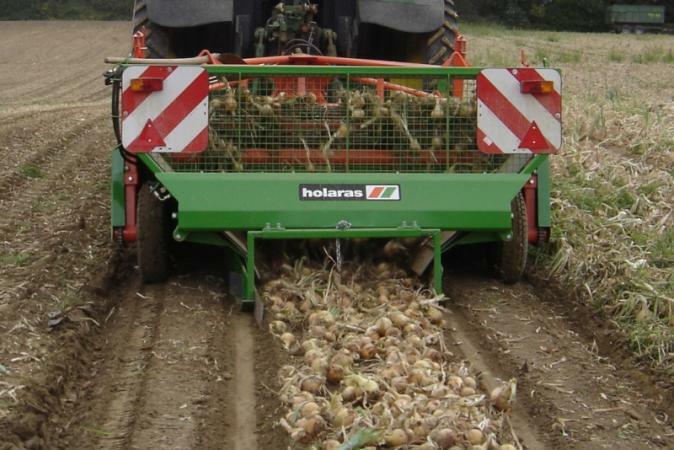 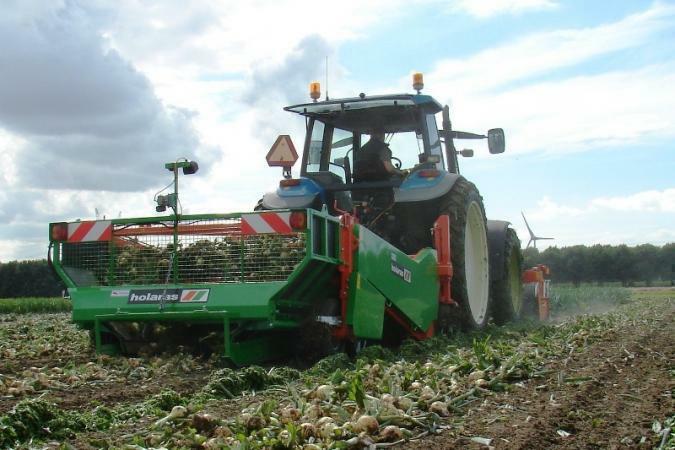 Holaras onion windrowers are stable and rugged machines. 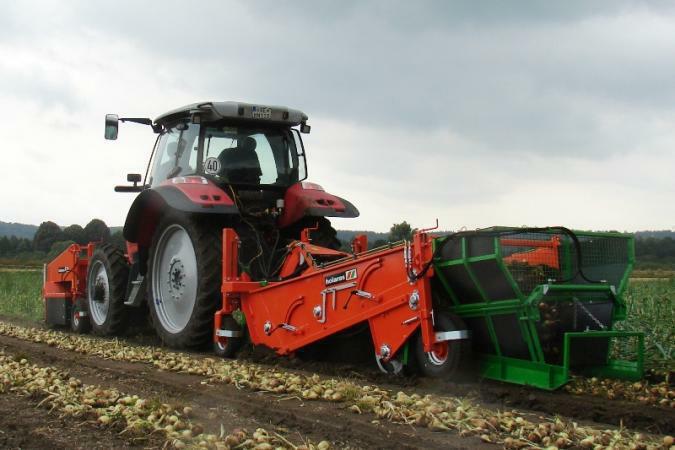 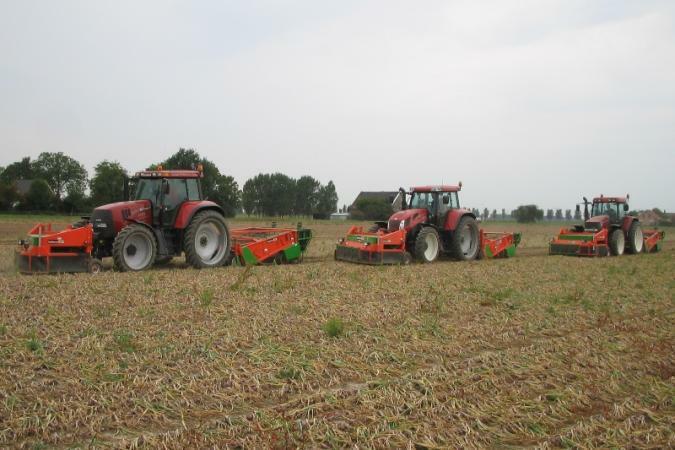 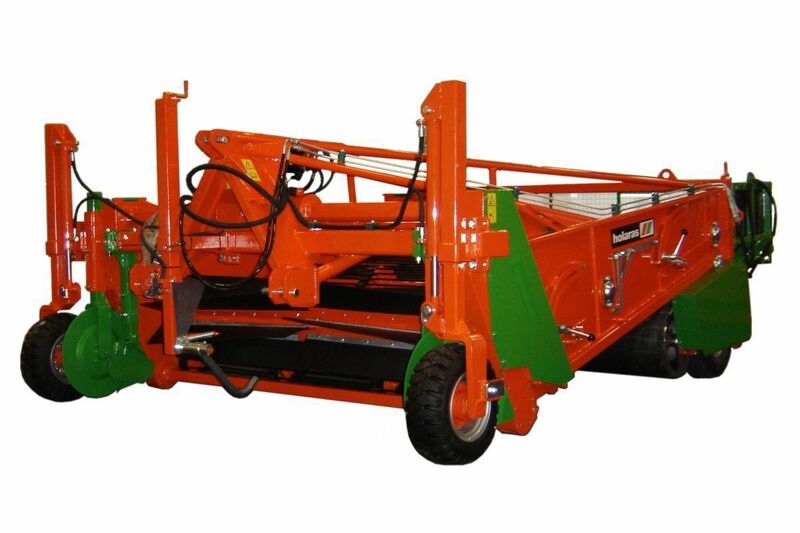 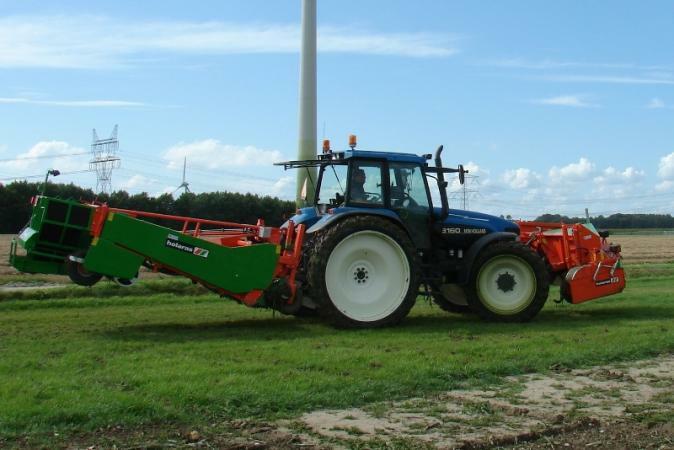 Models are available in three working widths and are suitable for onion transplants and seeded onions. 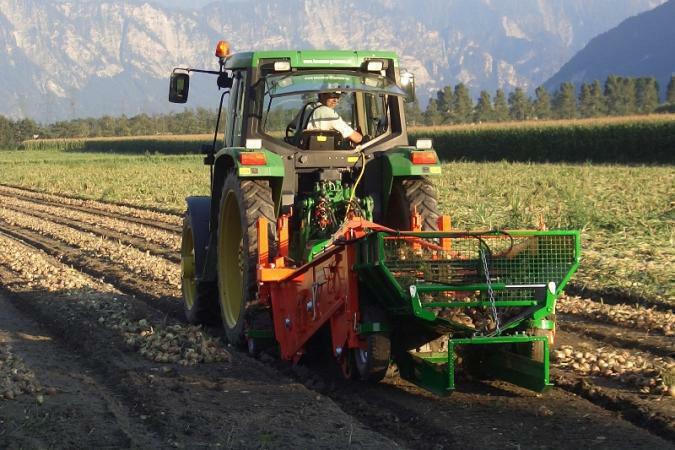 Onions are lifted from the soil by means of a square bar (lifting bar or rod). 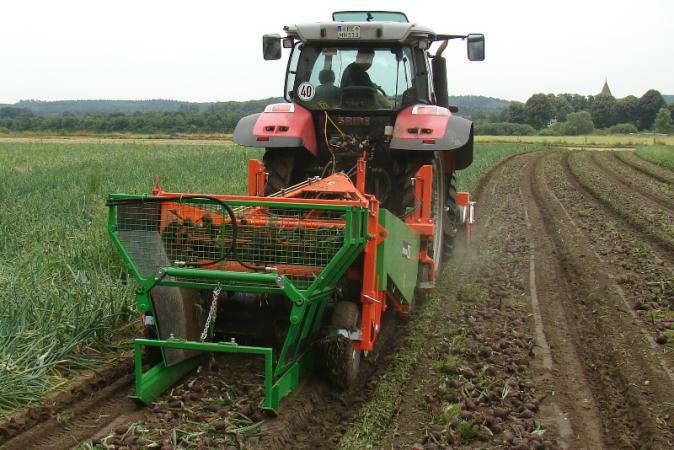 The counters and V-shaped shares mounted on either side of the square lifting bar eliminate wastage by the first pick-up web. 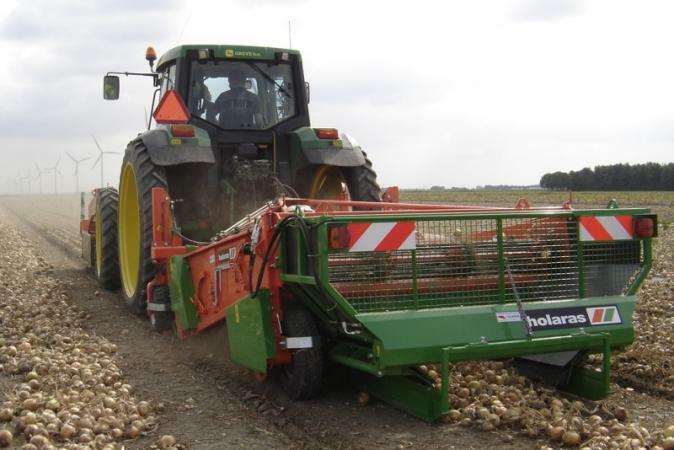 The rubber intake roller mounted behind the square lifting bar deposits the onions on the agitating web. 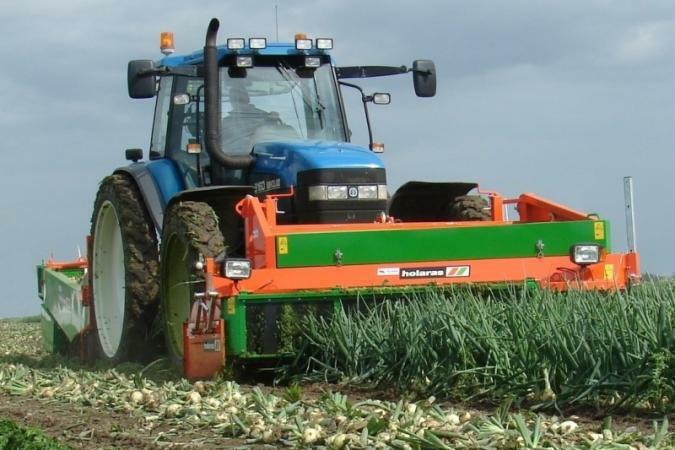 This shakes off soil and trash and deposits the onions to a second belt, which leaves them via tanker ‘K’ damage free on the ground. 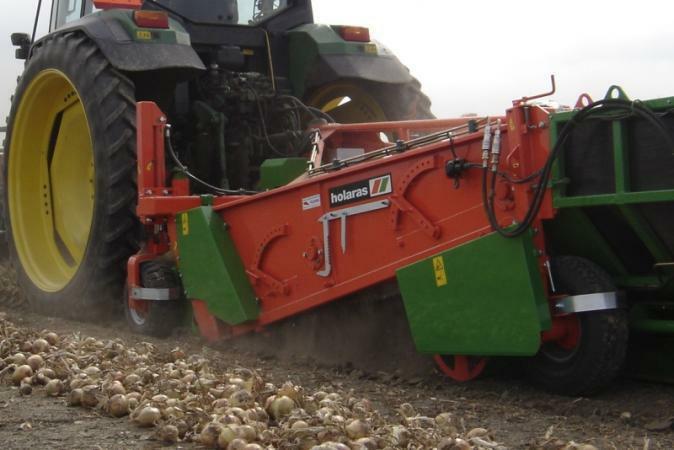 After air-drying the onions are ready for safe and smooth collection.